Article Written by Penka Kouneva – When I first arrived in Hollywood in 1999, I had a PhD in Music composition, a keyboard and one connection. While that might not seem like much, it was more than I had when I moved to the United States from my home in Bulgaria nine years earlier. I was extremely passionate about scoring films and games – this is what I wanted to do for life. In retrospect, while my naiveté and idealism were laughable, they were also vital in getting me as far as I am today, because if you had told me upon my arrival 15 years ago that the first time a woman (Shirley Walker) was a Lead Orchestrator on a studio feature film was 1992, I’d have been shocked. If you told me that, in the history of Hollywood, only 8 female composers would score a studio feature, I might have turned around and gone right back into academia. Luckily, no one told me the odds and I stayed. And like Shirley Walker, I cut my teeth by orchestrating for other composers. I began at the bottom and worked my way up to the point where last year, I was the Lead orchestrator on two big Sci-Fi films – Ender’s Game and Elysium. And, if someone had told me back in 1999 that the 2nd woman in Hollywood’s history to be lead orchestrator on two films with budgets over $100 million would be me, I’d be incredulous. In the meanwhile, I began orchestrating and composing for video games (Prince of Persia: Forgotten Sands and Transformers) and suddenly felt incredibly passionate about and energized by game scoring. It was a powerful “I’ve found my tribe” moment. It felt like a perfect fit for my talent, passion and sensibilities. I devoted a few years of voraciously playing new games and learning about the history of franchises, technology and genres, all while continuing to compose and support the careers of others. Composition awards were piling up – Sundance Fellow Composer, Hollywood Music In Media Awards, Visionary Award from Women’s International Film & TV Showcase, Square Enix Music Online nomination. I went into this profession with the belief that hard work and the talent I was determined to develop would eventually win the day. But in the time I’ve been here, I’ve realized it takes something more. Part of that is having a great mentor. I’ve been lucky to have had mentors open doors for me. The women who have broken through that celluloid ceiling are very supportive, but there are just so few of them that progress is slow for women as a whole. Still, the generosity I’ve received has made me determined to help other women up that ladder. I’m deeply proud of the mentoring role I’ve already played for dozens of young men and women, and all success stories I’ve nurtured. But, if we’re to shift the gender balance in media composing as a whole, I believe the more women mentor other women and bring them up in the ranks, the greater equality we’ll create. Finally, I’ve realized that I can’t just wait for an opportunity to come knocking. On AAA games the decision makers need to hear exactly what they’ll be getting, so to prove I’m the woman for the job, I’m hiring an orchestra of 70 musicians to record an album of blockbuster sci-fi themes of my own, so they’ll know I’m a sure bet. I’m calling the album The Woman Astronaut because I recently did look up the stats and discovered 11% of all people who’ve gone to space have been women. Compare this to less than 2% women composing studio features. That means a woman who wants to be an astronaut has more role models than a woman who wants to compose music for film & games. And, in 2014, that’s just crazy. I’m not going to wait around for anyone to change that for me. I’m taking the first step myself. This next step is a big step for me, and one more small step our industry. 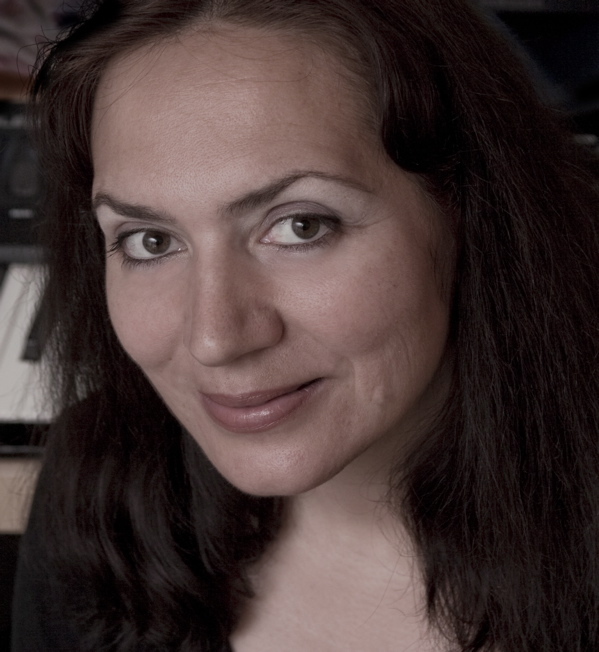 Penka Kouneva is an award winning composer and orchestrator in Hollywood (Prince of Persia, Transformers game, Transformers films). Find out about her current project, The Woman Astronaut. Penka is also on LinkedIn and IMDB. This entry was posted on Saturday, March 8th, 2014 at 4:43 pm and is filed under Audio, Careers, Editorials, National News. You can follow any responses to this entry through the RSS 2.0 feed. You can leave a response, or trackback from your own site.